Save your property from becoming a "poop"erty. Post this sign in your lawn as a friendly reminder to owners to clean up after their pets. 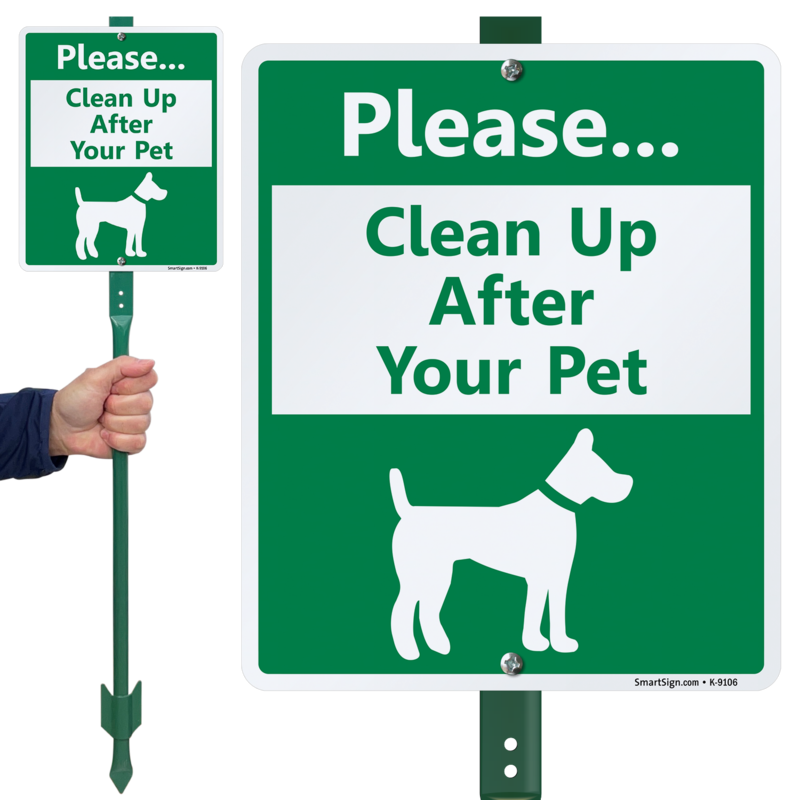 Sign features a 'Please Clean Up After Your Pet' message with a dog symbol. 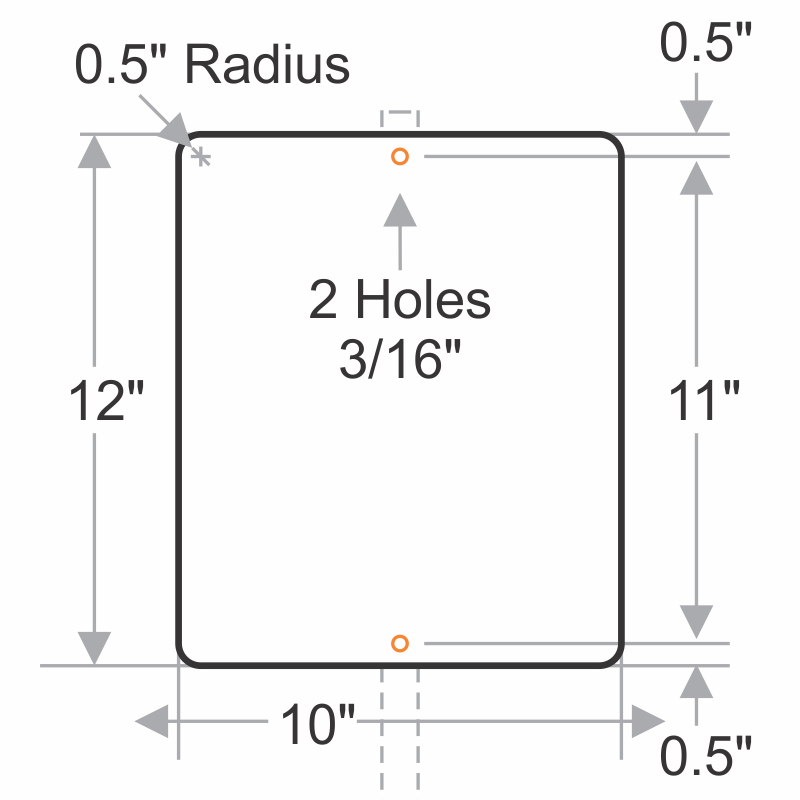 Made from heavy duty 60-80 mil thick aluminum, this sign is preassembled and attached to a 3' tall stake with flang. Sign resists chemicals, UV rays, water, abrasion and is bend-proof. My son, with a little bit of help from me, pounded the stake in the ground, put the sign together. It looks great. In fact five minutes after it was up one of the "poopers" came down to inspect. Sniffed the stake, and the lawn around it. I suspect he might be able to read because after looking at the stake he turned around, walked down the sidewalk and went home. I hope his owner does as well. We needed to drill another hole to make the stand fit the way we wanted but it's very sturdy and clear. I hope it keeps by neighbors in check! Thank you for such a high quality product. Love the sign and it is perfect. The post was great however the sign itself was awesome to drill right to our boulevard tree. It is the perfect size with the perfect message. Thank you for such a high quality product.